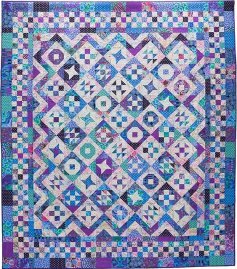 We designed this fun quilt with 50 easy 6" pieced blocks for our 50th Mystery Weekend. Make half-square triangles and mix & match with squares to make a variety of blocks. The pattern includes two size options. 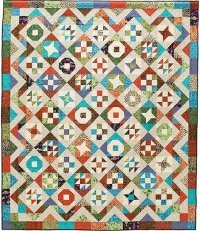 The smaller quilt finishes with a simple bricks border. 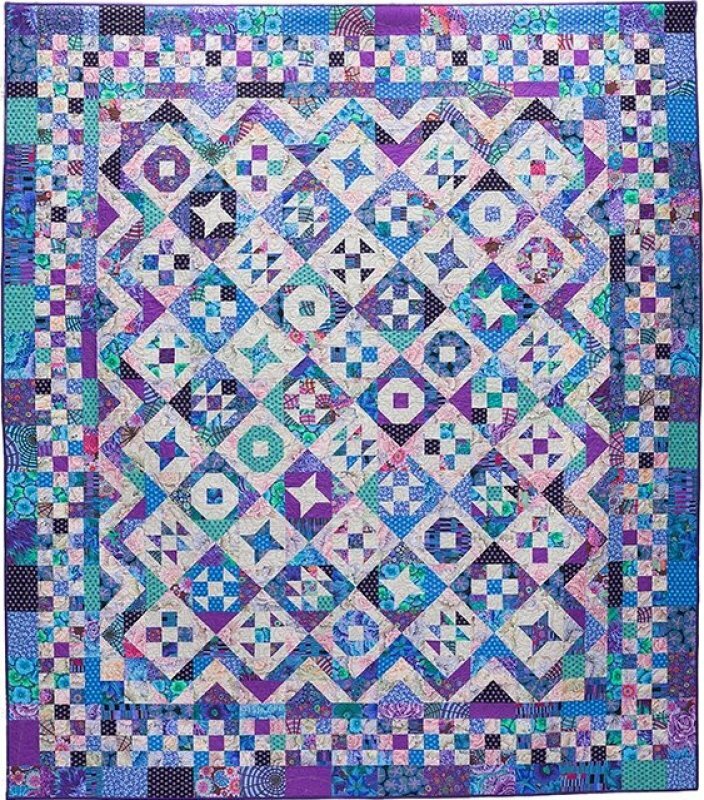 The larger quilt includes the checkerboard border as shown in the photo on the pattern cover. Check out the African Inspired colorway shown below see the quilt without the checkerboard border. The small quilt is 72 x 84 and calls for 1/2 yard pieces of 15 Dark prints, 1-5/8 yards of Background #1, and 2-3/8 yards of Background #2. The large quilt is 90 x 102 and calls for 5/8 yard pieces of 15 Dark prints, 1-5/8 yards of Background #1, and 3-5/8 yards of Background #2. All instructions are for rotary cutting and machine piecing. We recommend 2" half-square triangle paper. Alternate instructions are given if you prefer not to use triangle paper.